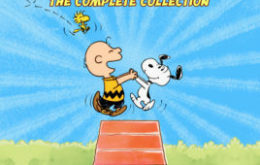 At the moment, ‎Peanuts by Schulz: The Complete Collection is marked down in iTunes to just $15.99. This is the relatively recent European production of 104 episodes which run about seven minutes apiece, which means it adds up to around 12 hours of adapted-from-the-strip goodness. Fantagraphics is having a big sale on the digital editions of their books – including all their Peanuts books! 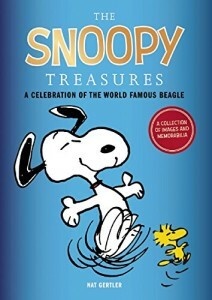 Volumes of The Complete Peanuts are $7.99 apiece. 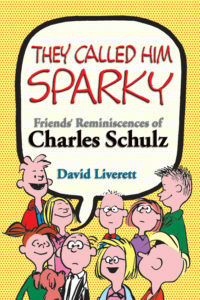 Smaller books like Charlie Brown’s Christmas Stocking, $2.99! If you like your books on your Kindle device, go buy now! The: itty bittys Snoopy the Flying Ace Stuffed Animal and Storybook Set is now for sale at half off from Hallmark’s online store. I’m to blame for Schulz forgeries! 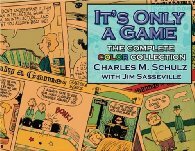 Only What’s Necessary: Charles M. Schulz and the Art of Peanuts, Chip Kidd’s lovely, frustratingly page number-less book of Peanutsy stuff, is more than half off at Amazon at the moment. I have no idea how long this will last, so order now! Get a free Hogan’s Alley!